Last Updated: 1/29/2015 | File Size: 27101 KB | Price: $199 | Downloads: 530 | Developer: Fast Reports Inc.
FastReport VCL is an add-on component that allows your application to generate reports quickly and efficiently. 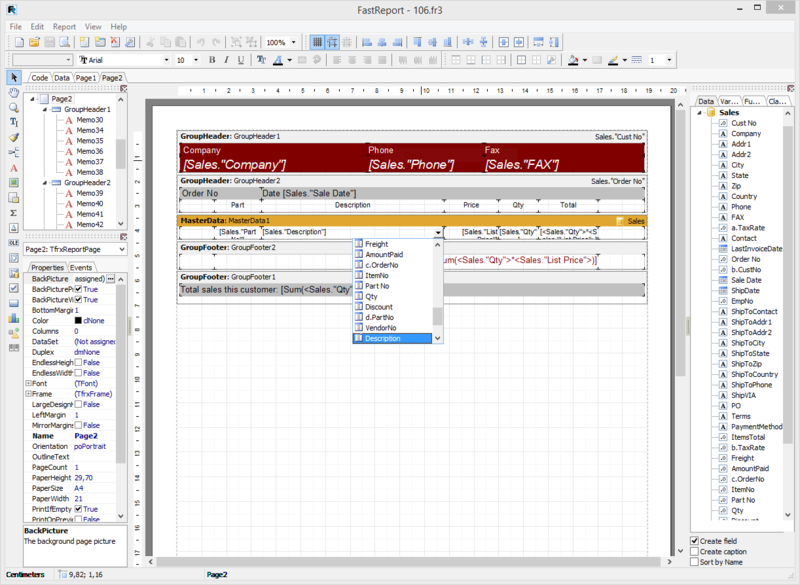 FastReport provides all the necessary tools to develop reports, including a visual report designer, a reporting core, and a preview window. It can be used in the Embarcadero Delphi 4-XE2, Embarcadero C Builder 6-XE2 and Embarcadero RAD Studio environments. Statement: First, please download the orginal installation package by clicking the download link. Of course you may also download it from the publisher's website. Using FastReport crack, key, patch, serial number, registration code, keygen is illegal. The download file hosted at publisher website. We do not provide any download link points to Rapidshare, Hotfile, Depositfiles, Mediafire, Filefactory, etc. or obtained from file sharing programs such as Limewire, Kazaa, Imesh, Ares, BearShare, BitTorrent, WinMX etc. Software piracy is theft. If you like FastReport please buy it.